Fintech has brought a host of technological interventions into the finance world. If we look closely, Fintech has vastly expanded its horizons in the recent pasts. Digital lending, wealth management, API-driven finance decisions, secure and transparent transactions (through blockchain) are some of the fine examples. It can be observed that financial services providers are adopting and using technology and innovation to transform the current finance sector. Talking about digital lending, the finance sector has started adopting open standards for accessing user data from banks through Application Programming Interfaces (APIs). Although they have been using this technology for some time, APIs have come closer to transform the consumer lending process. With the need for sustaining in this highly competitive lending market, service providers are moving towards API-driven digital framework. In the age where customer demand is rising for faster, secure, and more flexible banking and payment options, APIs can offer an efficient and secure lending experience. For example, a lender might depend on third-parties to calculate the credit risk of the borrower. In this case, APIs could bring a variety of financial data of the borrower allowing deeper credit analysis without needing any third-party services. Businesses in the financial market are battling to provide superior customer experience with tailored lending solutions. Customers are looking for faster and simpler lending options that can generate easy funds. An API-enabled lending platform can enable a fully customized experience for both lenders and borrowers in the finance sector. Here we will now discuss why APIs are the new norms for delivering efficient and scalable lending solutions. First and foremost, APIs allow businesses to connect directly with the customer data in significantly less time and cost, which is indeed crucial given the rapidly changing consumer needs. Lending businesses have to bear huge costs in favor of staying relevant with the current technology. They constantly need to upgrade their platform to stay competitive. The API-driven lending platform could result in providing more stable services. APIs allow quicker adoption of the latest technologies and new features by simply adding or modifying them. Lending businesses are highly dependent on multiple parties in order to analyze and approve a loan. Numerous functions (mostly manual) take place which adds to the time taken in the lending process. APIs automate major tasks performed by the lending businesses by providing data instantly at disposal. Moreover, APIs-exposed platforms are easily customizable since they separate the frontend and backend. With APIs, it is possible for lenders to allocate multiple services which offer enormous flexibility to the platform. A strong and responsive developer ecosystem enables the development of products and services on top of the existing platform. 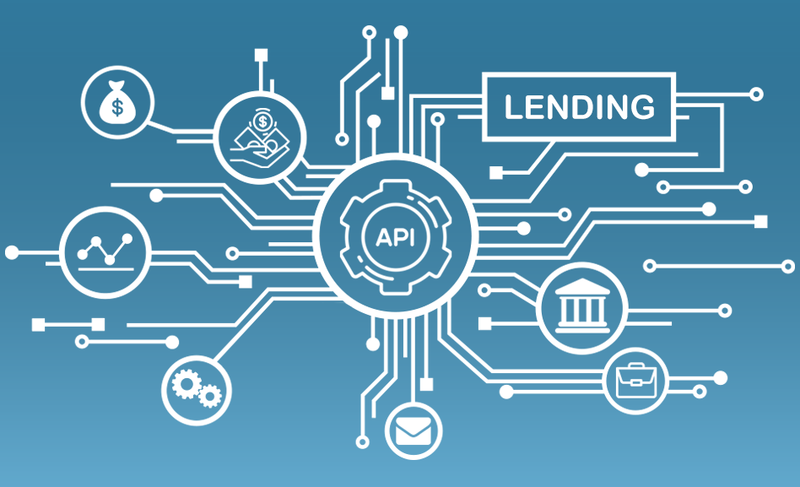 API-enabled lending platform attracts developers who could build credit-related features, potentially improving the functionality. This constant development will also help businesses to stay relevant with the ever-evolving technology. APIs lie in the middle of digital innovation in the lending industry. Implementation of APIs has allowed business owners to bring flexible solutions that are fast and cost-efficient. They are consequently set to redefine the role played by lending platforms in the entire process. Implementing APIs will also ensure that businesses need not to build the platform from scratch. Pre-developed API frameworks will be used to give businesses a pedestal to build customized P2P lending platform quickly. Akeo Lending is one such framework with built-in back and a front end that offers 360-degree lending solutions. Businesses looking to build a lending platform could utilize the platform and modify through customized modules to fulfill the needs. Click here to know more about the framework.